RangeGuard manufactured by Peltor is low profile, and electronic. 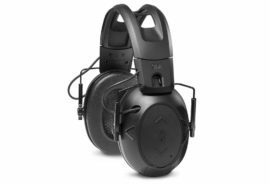 Allows shooter the protection, and the ability to hear while shooting. 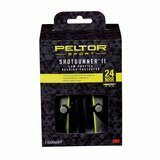 Peltor™ Sport RangeGuard™ Electronic Hearing Protector suppresses gunshot noise to protect hearing while amplifying voices for clear communication.